Malaysia Prefers China Over ‘Unpredictable’ U.S.
Malaysian Prime Minister Mahathir bin Mohamad and Chinese President Xi Jinping meet at Diaoyutai State Guesthouse on Aug. 20, 2018, in Beijing, China. Malaysian Prime Minister Mahathir bin Mohamad would choose China over the United States if his country was forced to take sides in the trade war, he told the South China Morning Post in a story published on March 8. After winning the election last year, Mahathir maintained a critical view of China. By acknowledging China’s economic power, Mahathir is softening his rhetoric. 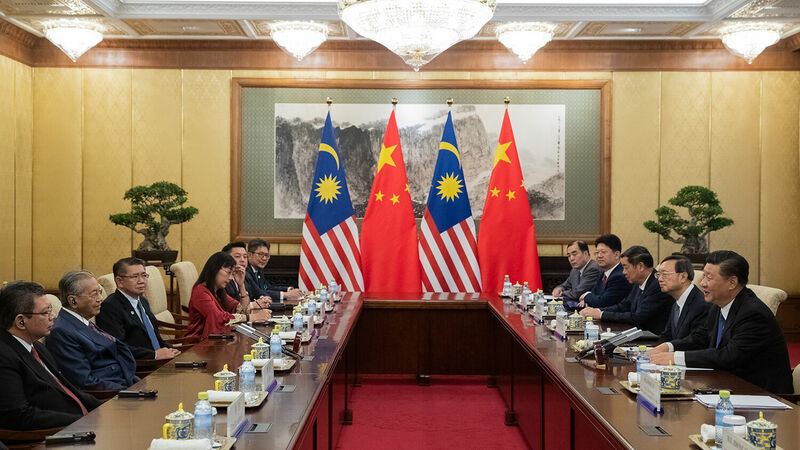 This could be the beginning of a partnership between China and Malaysia. These nations see China’s big stick hovering in the background, and also see that the U.S. can no longer be relied upon to protect them from it. So they are making a calculated realignment: If you can’t beat them, join them. As a result of this arrangement, Asian nations such as Malaysia will likely be integrated into an alliance with China and Russia. Revelation 16:12 refers to this alliance as “the kings of the east.” Revelation 9:16 describes a massive Asian army comprised of 200 million soldiers. Ezekiel 38 shows that this army will be led primarily by Russia and secondarily by China. The nations rallying around China today are setting the stage for “the kings of the east” prophecy to be fulfilled. Malaysia and other Asian nations can clearly see America’s power declining and China’s power rising. They see a power vacuum in the region and perceive that China is filling it. This is why many Asian nations prefer China over the U.S.
To understand more about this subject, please request your free copy of our booklet Russia and China in Prophecy. Will America’s Asian Allies Pivot to China?